Discussion in 'iPhone and iPad Games' started by metalcasket, Jul 21, 2016. 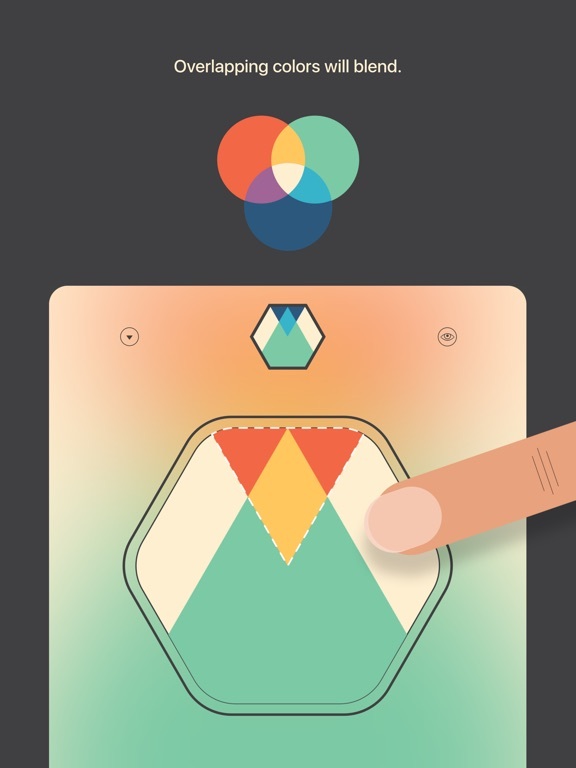 *** Featured By Apple*** *** Part of the App Store Free App of the Week promotion *** Turn pieces and blend colors in this minimal yet visually stunning puzzler. Over 300 handcrafted and challenging levels. Features alternative color schemes for all common color deficiencies. A cooperation with award winning board game designer Dieter Stein. (www.spielstein.com) Original soundtrack by Sean Dhondt. 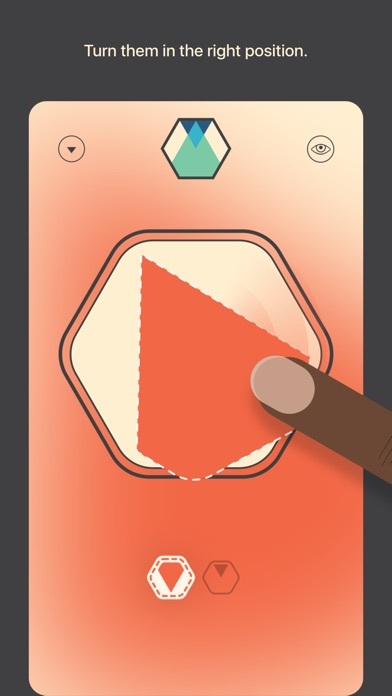 (www.manoeuvresband.com) Pocketgamer.co.uk: "There's no aggressive timer and a gorgeous, original soundtrack to accompany you through 200 challenging levels." 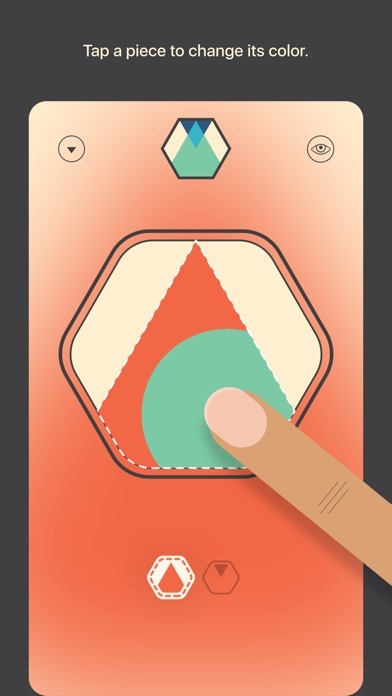 Apps4review.com: "Intriguing, compelling and addictive this is a great puzzle game. Worth Having App" AppsMirror.com: "This puzzle app strives successfully to provide its gamers an unparalleled experience" Appgefahren.de: "Even visually impaired users can complete the game without any problems. We can therefore only express an absolute recommendation." iPlayApps.de: "Sounds simple, but is quite tricky." 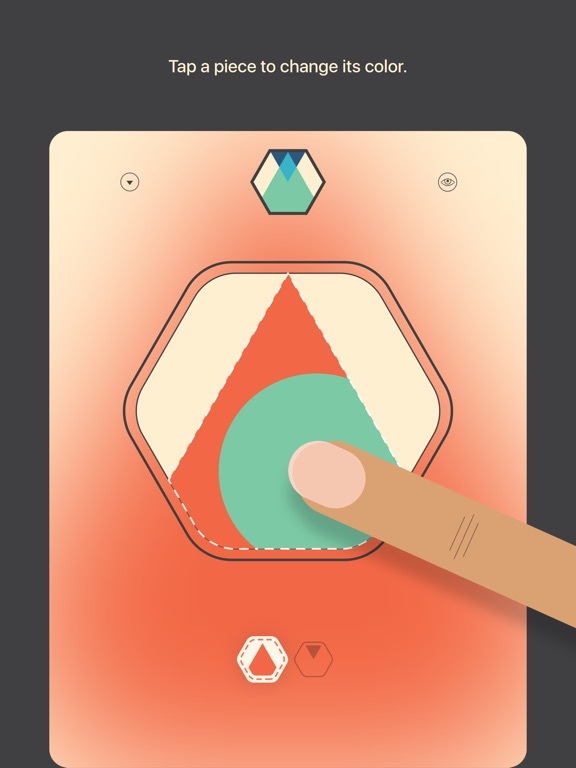 AntyApps.pl: "It really is just the right idea and interesting design that challenges." 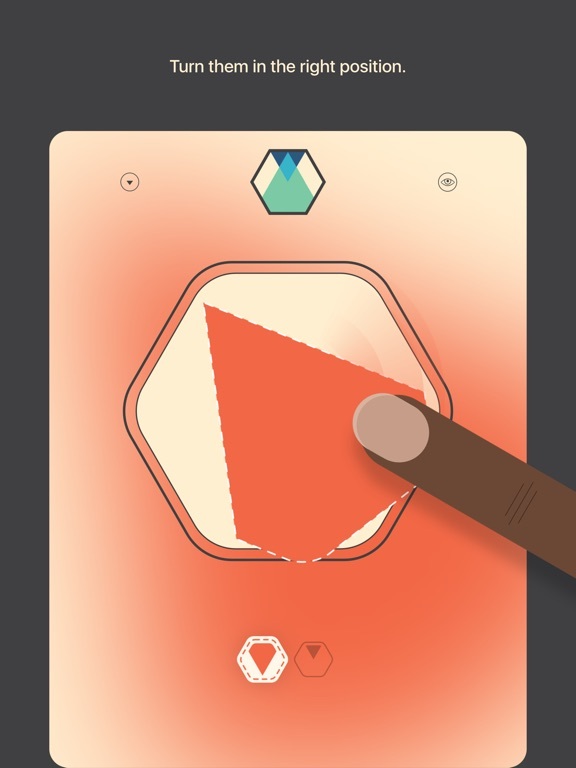 Bloovi.be: "Belgium's most popular puzzle game eliminates your daily stress." I have spent a lot of time with that classic puzzler Chromixa (and still do so every now and then), which also uses the principle of additive mixture of colours. 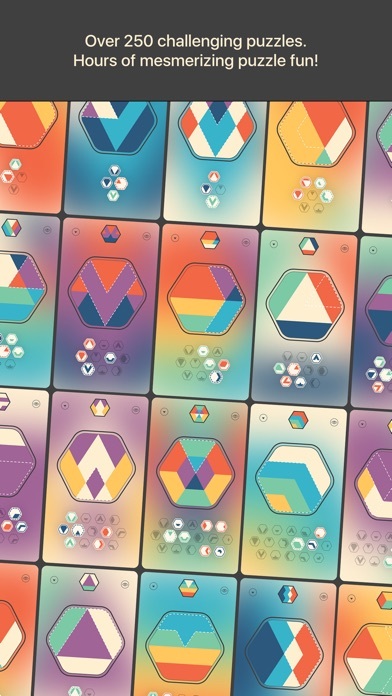 Colorcube is polished, fun, not too hard, self-explaining, has a relaxing soundtrack and one of my favorite boardgame designers, Dieter Stein, worked on it, so nothing could go wrong here. And I can play it on my iPhone, where many games are just too small for me now. Prefer it to Blyss, which gets monotonous after a while. Today it dropped to .99 Cents which is a steal. I loved chromixa! 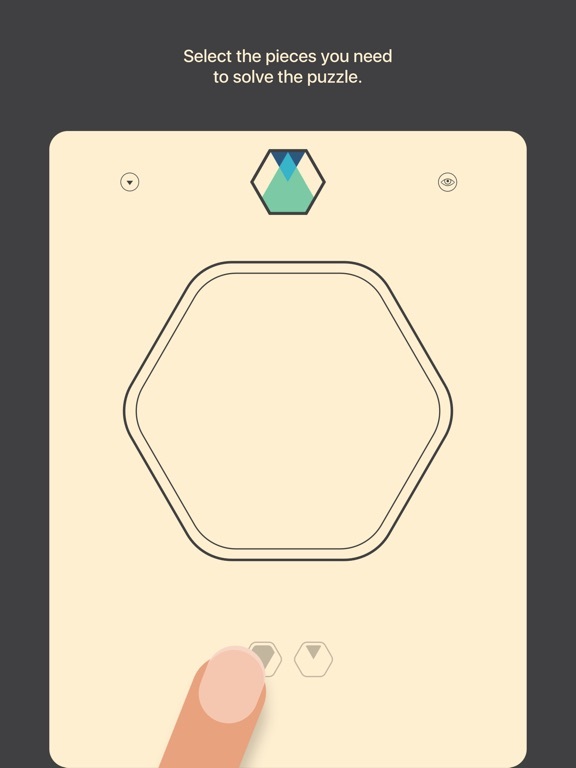 But part of the appeal of that game was the various shapes and I initially passed on this fame due to the slightly less varied feel I got from the screenshots. However you also stated you found Blyss monotonous, as did I, so if this can hold your interest (and warrant a comparison to Chromixa) I'm definitely in! Will be back with impressions. Getting this item is being modified when trying to purchase. US App Store. Love these type of puzzlers. Glad it is featured on Apple. 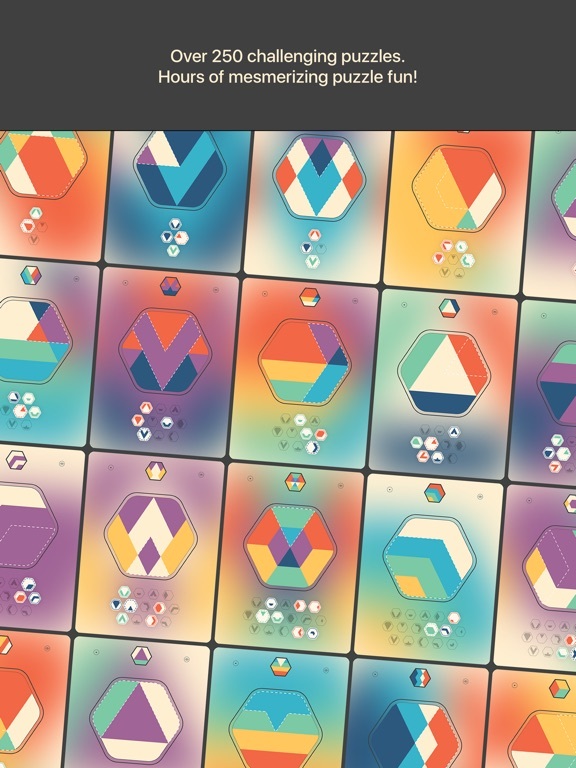 The tricky part of Colorcube is, that the puzzle tiles often overlap in an unexpected way, and, despite the look of the levels, you won't need all shapes everytime to get the requested colors and forms. Yesterday I stumbled over an especially mean puzzle, and I really was at my wit's end for a moment It took me over half an hour to realize, that I only needed three of four tiles to solve it. I think you will like it. Anybody got a hint for level 27? Been trying all day. You need to use all four shapes. 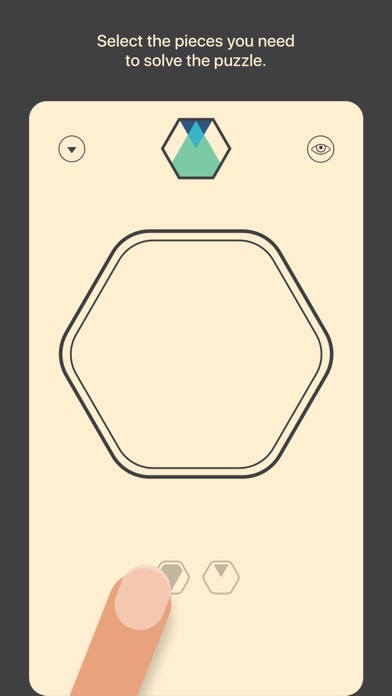 The white triangle at the top will be made by overlapping colours to form white. Start with the V in the opposite direction you'd assume (i.e. pointing up, like a mountain). This is a really fun little puzzler. Now FREE for the very first (and a limited, obviously) time!! Missed this game when it was originally released back in July 2016. Just rediscovered this game now. Agree that there is a lot of trial and error involved. So far, difficult to come up with sound strategy as the overlaps often occur in piecemeal in that they are near impossible to foresee. Unlike other color games such as .RYB that is based on a substractive color model, this game is based on the RGB additive color models used to derivate the secondary colors. However, when playing on my iPad 2, the colors depicted on screen in the game do not look right. This is especially true for the sample color Venn diagram, wherein the secondary colors (magneta, yellow, and cyan) do not look what they are supposed to be. Is there something wrong with the color calibration of this game? Even though the IPS screen in iPad 2 has suboptimal color gamut coverage, it is NOT this bad to completely throw off such colors in the game. Anyone else playing this game notices this? 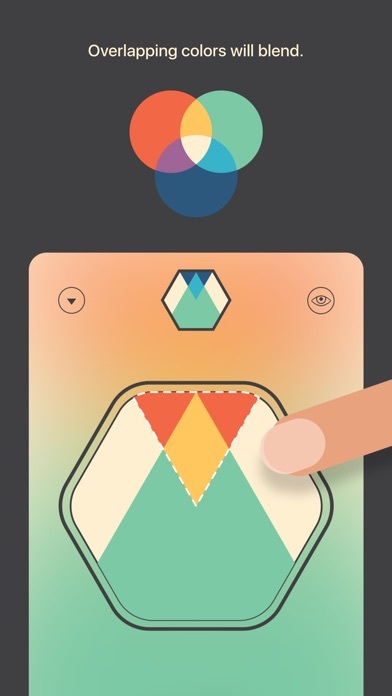 chromixa has been removed from the appstore. there is only the demo left. any way to grab the full game? Discovering this game : I love it !